Today’s Airfare of the Day goes to Qatar Airways’ midweek Business Class excursion fares between Moscow and Ho Chi Minh City. 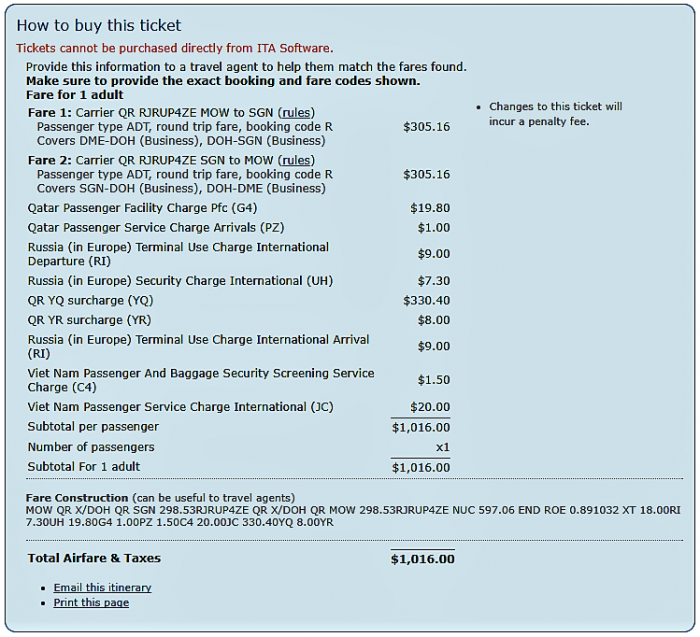 This fare is also being discussed in FlyerTalk (access original post here). Travel restrictions: Valid for travel commencing on/after 10 JUL 2017 and on/before 10 DEC 2018. 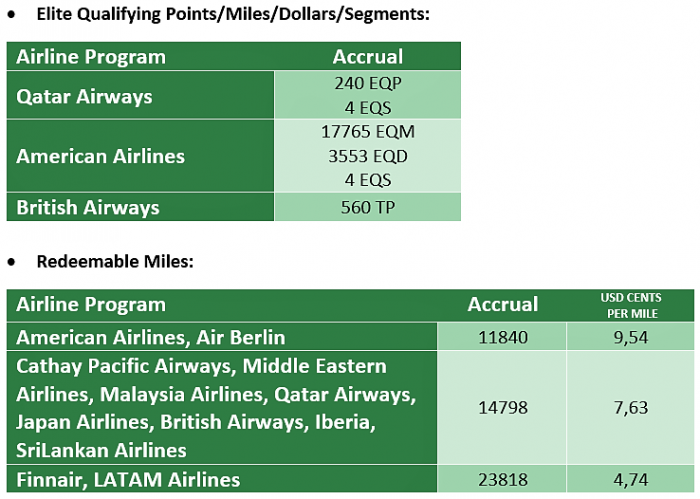 The following accruals were estimated for DME-DOH-SGN round trip travel on QR metal without considering any elite status bonuses or ongoing promotions. This is probably the best deal out of the Qatar Airways Global Sales + Double QMiles promo (John discussed this promo here). For maximizing the experience, remember that if you travel before September 30, 2017: you can take advantage of the free 96 hour visa + free hotel night promotion the airline is running now (John also discussed it here).